How did Johnnie To go from an almost unknown director in Western circles circa 2000 to one of the world’s most talked about international filmmakers today? This is the tale by Marie Jost of fanboys and cult cinema, film festivals and bitter debates waged by critics, and ultimately the embrace of Johnnie To by international film festival programmers and the academic community. Marie also analyzes how To talks about To in the Western media. As a complement, Thomas Podvin interviewed five persons living in Hong Kong, critics, academics and fanboys. 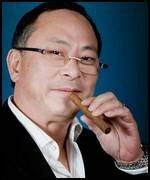 They offer a Hong Kong perpective on Johnnie To and his work. A PDF version of the document is available to download on page 1.